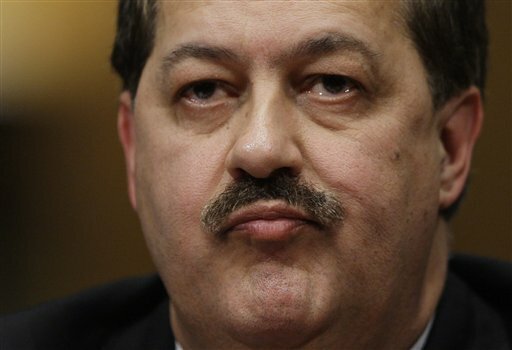 August 23, 2011 by Ken Ward Jr.
It’s been a while since we heard anything about the shareholder derivative suits pending against Massey Energy and the former top executive and board members from Massey. But today, Kanawha Circuit Judge Charlie King held a hearing, to give lawyers for Alpha Natural Resources and those former Massey management personnel and board members a chance to argue that at least one of those cases should be tossed out of court. Basically, lawyers for the company and the board members argued that when Alpha and Massey merged back on June 1, the plaintiffs in this case lost their right to bring the suit. Lawyer for the plaintiffs (shareholder groups of the former Massey Energy) allege that their case falls within an exception, for situations where a merger was aimed at escaping liability. Plaintiffs have previously offered a variety of evidence (see here, here and here) they say supports the nation that Massey officials moved toward the Alpha deal to help them avoid any personal liability for the Upper Big Branch Mine Disaster. One tricky thing here is that some of those claims by the plaintiff were made in a proposed second amendment to their original complaint. Judge King hasn’t yet given approval for that amended complaint to be officially filed. And the previously approved complaint doesn’t contain these specific allegations about the merger because, well, the merger hadn’t happened when it was written and submitted to the court.